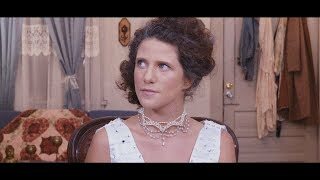 While its narrative arc is a self-contained story, Move On: A Sondheim Adventure (February 22 via Mack Avenue Records) is just the beginning of a new chapter in Aimée’s remarkable journey. 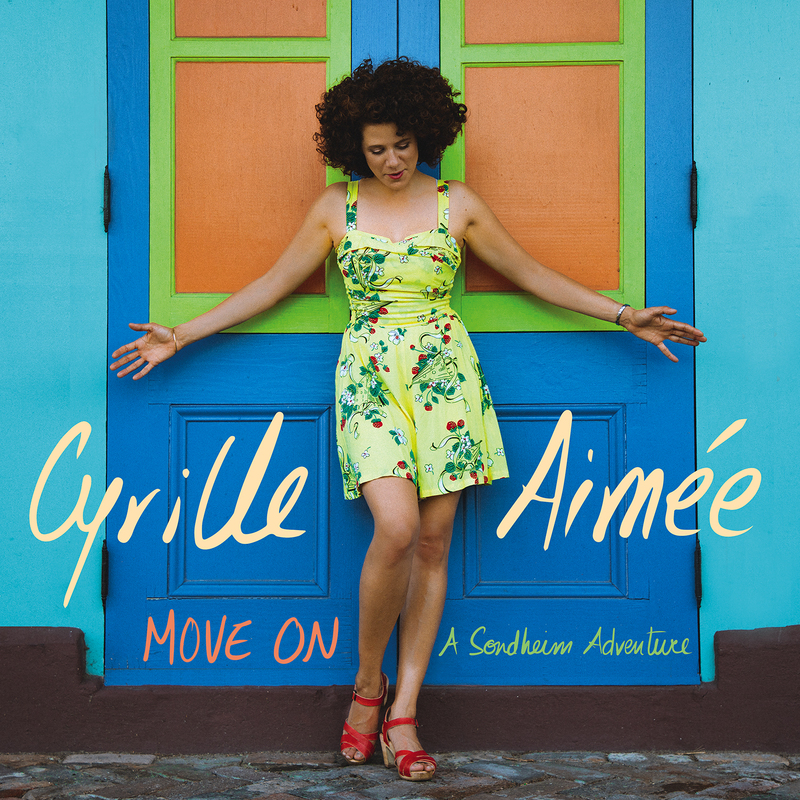 It’s the French-born singer’s first release since disbanding the acclaimed band she’s led for the last several years, to which she bid a fond adieu on her last album, Cyrille Aimée Live. It’s also her first since moving from Brooklyn to New Orleans, the latest music-rich city that she’s been able to call home. That move ended up being accompanied by even more uncertainty than usual for such a major relocation, as a break-up meant that she unexpectedly had to make it alone. The course of that relationship provided the through line for the songs on Move On, which traces the course of a romance from dreaming together (“Take Me To The World”) through vulnerable commitment (“Marry Me A Little”) to heartbreaking assurances (“No One Is Alone”) and finally the uncertain future (“With So Little To Be Sure Of”). 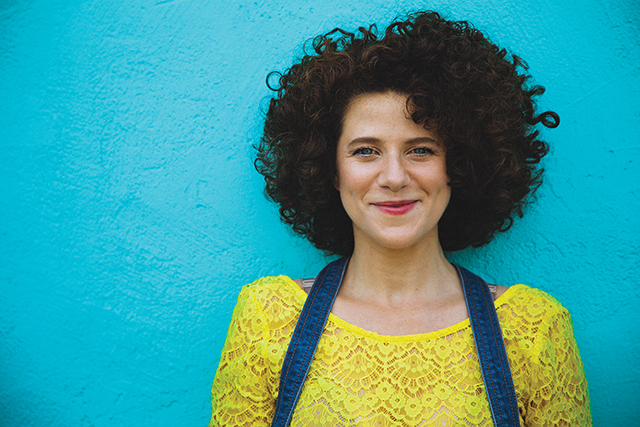 Aimée’s Sondheim Adventure began in 2013, when she was invited to participate in a tribute concert for the Broadway legend at New York’s City Center, co-starring with Bernadette Peters and backed by Wynton Marsalis and the Jazz at Lincoln Center Orchestra. Her show-stealing performance was widely praised, but the most memorable compliment came from the composer himself. “You made me cry,” Sondheim told Aimée backstage after opening night. “That was pretty powerful,” Aimée recalls with a touch of understatement. Aimée was almost completely unfamiliar with Sondheim’s work prior to that life-changing experience. Broadway musicals aren’t a prominent part of the culture in her native France, where she grew up introduced to a wealth of diverse music by her French father and Dominican mother: everything from Michael Jackson to French chanson, Flamenco to country-western. She famously spent her childhood sneaking out to sing in nearby gypsy encampments, then honed her talents singing on street corners in Europe and braving the notoriously tough audiences at New York’s Apollo Theatre. That history is represented in the music on Move On as vibrantly as her more recent travails are recounted through Sondheim’s profound lyrics. An irrepressible original, Aimée would never have been able to restrict herself to the songs’ original settings, no matter how much respect she maintains for their composer. She approaches each piece on the album in a wholly novel and personal way reflecting her eclectic influences. Opener “When I Get Famous” is performed a cappella, becoming her own ensemble through her deft ability to loop and harmonize vocals. The track is a sheer expression of Aimée as dreamer – a quality that shines through in her radiant interpretations as well as her audacious career (and life) path. 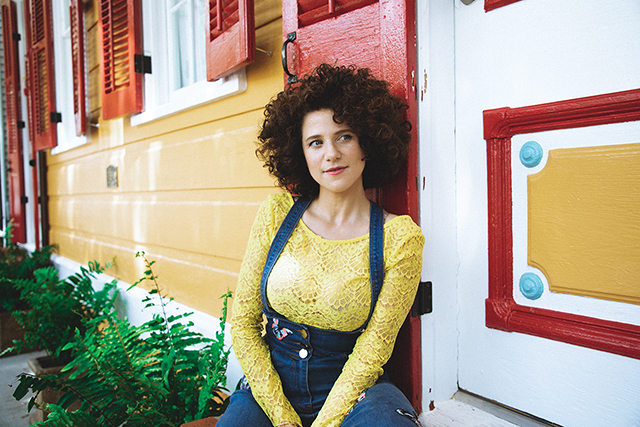 The latest stop on her journey is represented by “Take Me To The World,” which bustles with a rollicking Crescent City rhythm, Aimée’s glowing voice at the front of the parade. The rush of new love is embodied in her shimmering, intimate take on “Love, I Hear,” accompanied by violin, upright bass and Rhodes. “Loving You” is distilled to pure jazz, with Aimée backed by the French trio of pianist Thomas Enhco, bassist Jérémy Bruyère, and drummer Yoann Serra. Brazilian guitarist Diego Figueiredo, who pairs with the singer for “Marry Me A Little” and “With So Little To Be Sure Of” is a longtime collaborator, having recorded two duo albums with Aimée early in her career. Another old friend is keyboardist Assaf Gleizner, a classmate from SUNY Purchase who co-produced and co-arranged the album and appears throughout on piano and Rhodes. A string quartet brings out the lush romanticism of “Being Alive” before the song erupts into a sweltering salsa, a gift to Aimée’s mother. 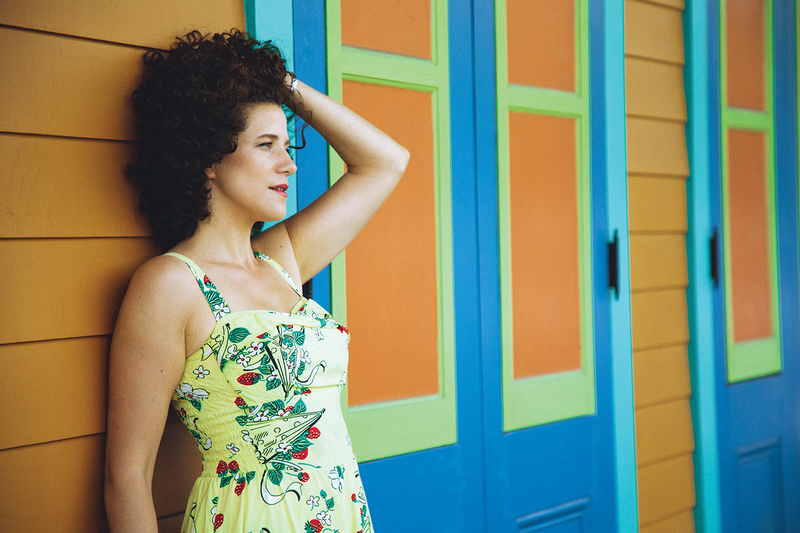 (“She’s always telling me she wants me to do a CD where we can dance.”) Aimée revisits those gypsy campfires on the racing “So Many People,” featuring guitarist Adrien Moignard, while “Not While I’m Around” pulsates with an elastic bass groove. The singer pairs off with Bruyère for a flirtatious “I Believe In You,” while the tenderness of “No One Is Alone” takes on a bluesy tinge. “One More Kiss” is rendered in Aimée’s native tongue (in a Sondheim-approved translation by the singer) before “I Remember” is set against the alien atmospheres of Warren Walker’s electronics-enhanced saxophone. “Move On” renders the album’s titular mantra as a bold step into an uncertain future.